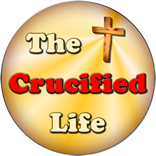 HomeThe Crucified Life Ministries BlogWhat Do You “Hang Your Hat On” In This World? God never described walking with Him along the narrow pathway to be anything but ripe for persecution and hate dished out by fans of the god of this world. If you profess to be a child of God and are loved by those who are living hand in hand with the god of this world you might want to check your “spiritual pulse” to determine if indeed you have the Spirit of God living inside your heart. 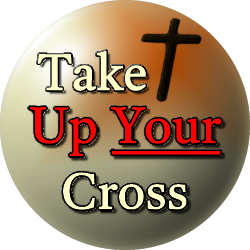 God is imparting the hard truth that, for a time while sojourning in this world, our lives will be hampered by all kinds of trouble and harassment “dished up” by the god of this world and delivered by his dark minions for the very purpose of making us stumble in our walk with God. However, God’s people must choose to keep their attention upon the eternal horizon rather than immediate circumstances. We must inwardly desire with our quickened hearts to glance at the world but focus intently upon God’s promises for the future. The eternal promises purveyed by the cross and His empty tomb, which ushered in the possibility of eternal life, will carry the child of God through any difficulties faced today.